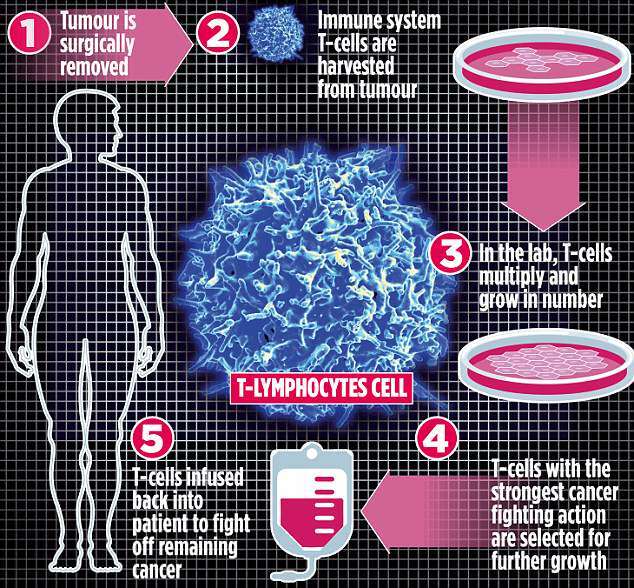 The first NHS cancer patient to benefit from a breakthrough procedure that primes the body’s immune system to ‘seek and destroy’ tumor cells has stunned doctors with his recovery after being given just weeks to live. 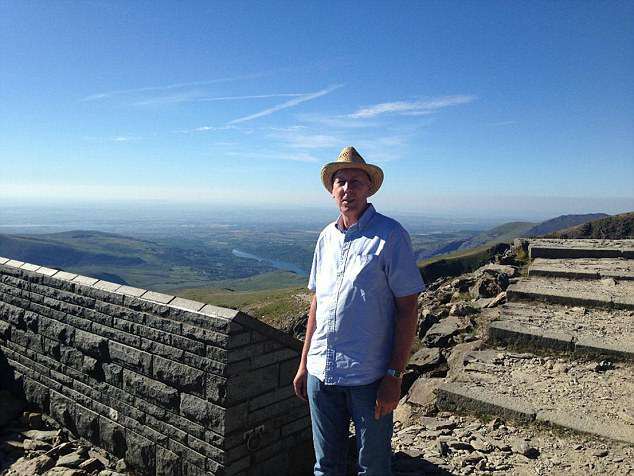 Paul Field, 55, was diagnosed with melanoma, the most deadly form of skin cancer, in December 2013 and had had numerous surgical and drug treatments – all of which failed to halt the spread of the disease. The married father-of-two from Flitwick, Bedfordshire, believed he had ‘run out of options’ when he was offered tumour-infiltrating lymphocyte (TIL) therapy last month. Studies have shown the treatment is effective in at least half of patients who have not responded to any other approaches, including surgery, standard chemotherapy, radiotherapy, and other newer immunotherapy drugs. And a third of these patients, who faced a particularly bleak prognosis, are alive and well – simply requiring monitoring – a year after being treated. TIL therapy is a type of immunotherapy, which involves harnessing a patient’s own immune system to fight cancer. It is one of a number of treatments known collectively as adoptive cell transfer, or ACT, which all entail removing some of a patient’s own immune-system cells, multiplying or modifying them in the lab, and then infusing them back into the patient. TIL therapy involves growing immune cells known as T-lymphocytes taken from a surgically removed tumour. Physicians modify the cells in a laboratory, increasing their potency against the cancer by picking out the most active cells and multiplying them. The patient receives a form of chemotherapy and other drugs, which give the T-lymphocytes a better chance to grow and reproduce before the lab-grown cells are reintroduced through a drip infusion. Patients remain in hospital for two weeks in total. TIL therapy is still considered experimental but there are about 24 studies looking at it as a treatment for skin and other cancers, with promising results. The UK trials led by Dr Arkenau are being carried out in conjunction with HCA Healthcare UK at University College Hospital London, and other hospitals across the country are expected to sign up in the near future. About 13,500 new cases of melanoma skin cancer are diagnosed each year. More than a quarter of cases are in people in their 50s, and over the past decade the number of people diagnosed with melanoma in the UK has increased by almost half. Over-exposure to ultraviolet radiation is the main trigger for the disease, and those with fair skin and eye colour, a large number of moles or freckles and a family history of melanoma are all at higher risk. Just a decade ago the majority of patients were expected to survive no more than a year after diagnosis. However, in recent years new drug treatments, including immunotherapy drugs ipilimumab and nivolumab, have transformed outcomes. TIL therapy may be the first real option for cases that fail to respond to these medications. Mr Field was diagnosed with melanoma five years ago. He says: ‘I’d noticed a suspicious mole on my right shoulder blade a year earlier but my GP told me it was nothing to worry about. ‘Then, on a family holiday, my wife Helen took a look at it and said I really needed to go back. It was black and crusty, and bigger – almost 2in wide. But the cancer had already spread. Over the following years, Mr Field had numerous operations to remove tumours that reappeared, and was offered ipilimumab and nivolumab, which failed to halt the disease.